Bloomberg News reports the U.S. Justice Department has offered to settle its emissions-cheating lawsuit against Fiat Chrysler Automobiles (FCA) if the automaker recalls 104,000 diesel-powered Jeep Grand Cherokee SUVs and Ram 1500 pickups from model years 2014-2016 and pays a substantial but unspecified civil penalty. 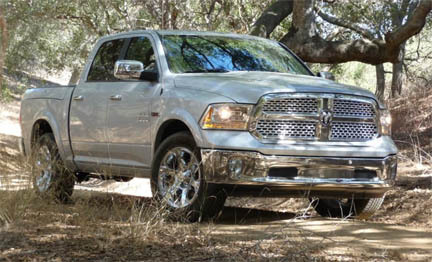 FCA was charged with using illegal software to pass laboratory emissions tests while permitting its diesel vehicles to exceed pollution standards on the road in a case filed last May by the EPA and California Air Resources Board, specifically on diesel powered 2014-'16 Ram 1500 pickups and Jeep Grand Cherokee SUVs. Under the proposed settlement, the recall would require all of the affected Fiat Chrysler’s vehicles to be brought into full compliance with emissions standards but, unlike the VW settlement, FCA would not be required to buy back any vehicles. Reaching a final settlement would resolve civil violations of clean-air regulations laid out in a complaint filed May 23. The proposed settlement doesn’t include an end to a criminal investigation of the automaker by the Justice Department related to diesel emissions.